My 3 year is becoming a fussy little eater which is a shame as the rest of us really enjoy our food. 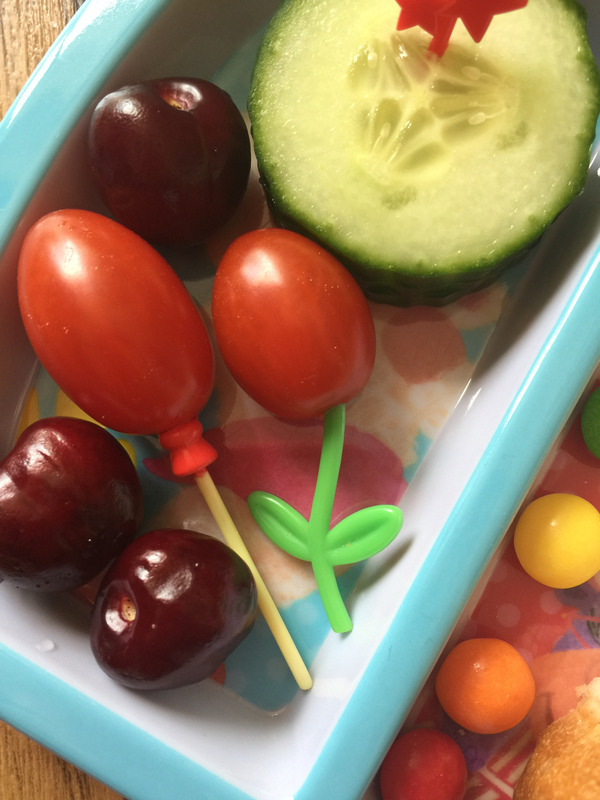 Sometimes a fun little bento lunch helps, but not always. She loves to help me prepare lunch so I’m hopeful that this is just another stage that she will eventually grow out of. I’m always on the look out for a theme she will like. Now she loves minions and the Despicable Me films. She even has her own unicorn, just like Agnes. She enjoyed the minions themed bento I made recently so I thought I would try to make her a unicorn themed one. 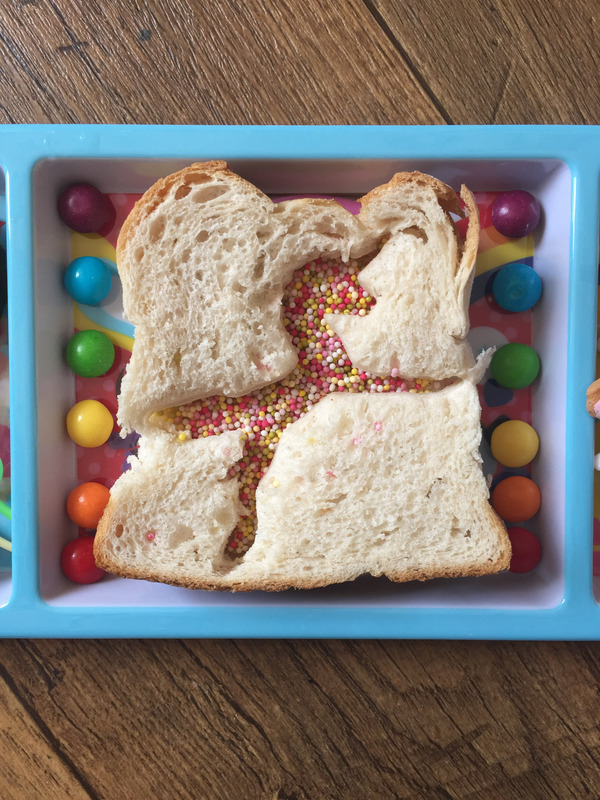 I had a couple of ideas for a unicorn bento. 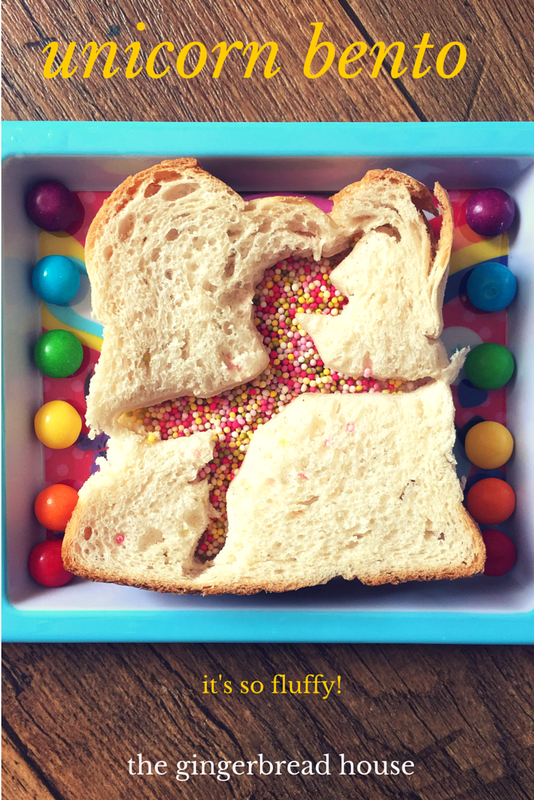 In the film Despicable Me Agnes says “It’s so fluffy” which gave me a great idea for a sandwich – fairy bread with a unicorn cut out. I added a rainbow of sweets to finish it off. 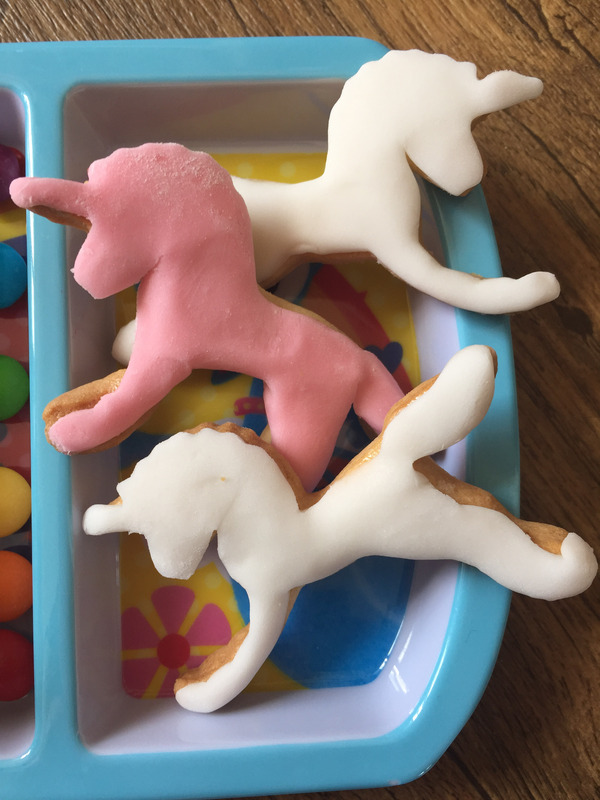 I used the unicorn cutter to make some biscuits too, decorated with pink and white icing. So I’m the first to admit it wasn’t the healthiest lunch but at least she enjoyed eating it. It was a great excuse to watch Despicable Me in the afternoon too! that looks so cool and definitely can encourage little ones! Such lovely ideas! I will defiantly be trying the unicorn sandwich! We have been doing Minion School this week so this would tie in well!! The unicorn looks so cute and too colourful too eat! Beautiful looking lunch. Bookmarking so we can recreate it in the future!